It has nearly been a month since our three Whimbrels departed Broome. Their journeys so far clearly show us that, when it comes to migration, individual bird of the same species has different strategy but yet could still show some similarities. KS and KU were our Whimbrels that were caught in the same flock, fitted with satellite transmitters and released together on the same day (24 February 2017) at West Quarry Beach, Roebuck Bay, Broome. Back then, they were at similar stage on moulting their wings (moult of the outer most primary feather nearly finished), and were at similar weight (KS – 357g, KU – 399g). It was therefore very reasonable for them to start migration on almost the same date. 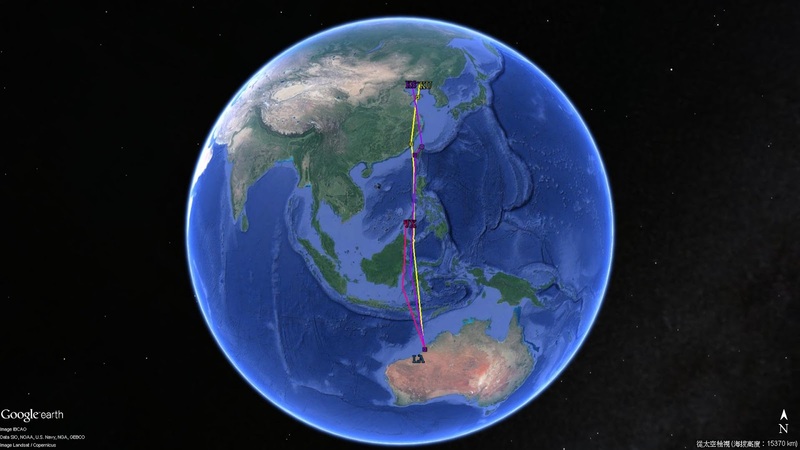 Six days later, both KS and KU reached their first stop-over sites on migration which are 280km apart. However, both sites were estuarine area with intertidal mudflat for foraging. Since then, their journeys deviated. KS adopted a “hopping” strategy by staying at different sites over very short period of time, so it was really lucky for it to be found and photographed. 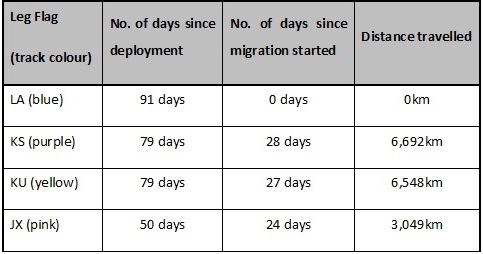 Overall it had stayed in Taiwan for only 6 days before moving on its next leg of migration. 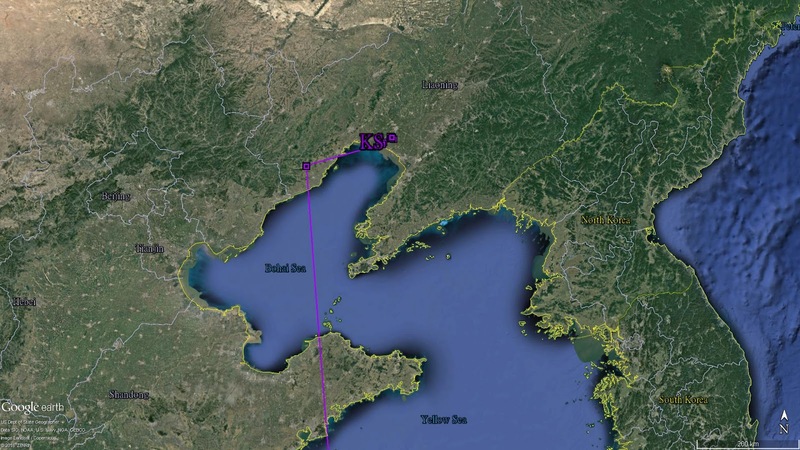 On 30 April, KS departed Taiwan and flew 1747km to the Yellow Sea. 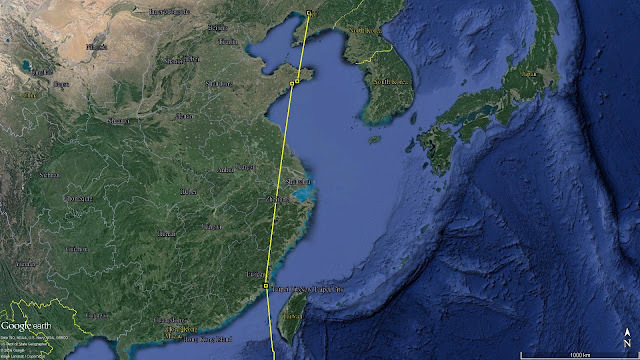 It first took a very brief stop for a day on 4 May, in the south-west corner of Liaoning Province, China, and then continued to fly another 143km east to where it is now in Panjin, an important wetland area in northern Yellow Sea for migratory shorebirds, breeding Saunders’ Gull and Red-crowned Crane. 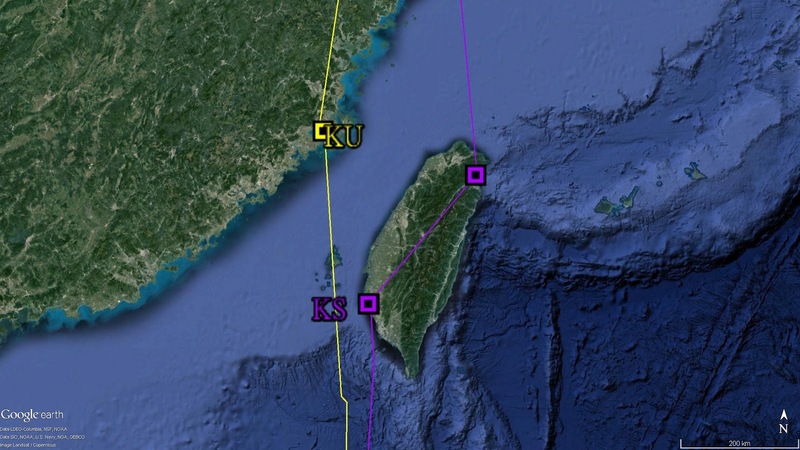 On the other hand, KU used a different strategy to stay long for re-fuelling in Xinghua Bay, Fujian Province, China. It has stayed for 11 days in total and departed for Yellow Sea on 4 May. First, it made a very short stop in Shandong Province on 6 May, where it utilised artificial lake and natural estuarine before moving on for another 446km north to Liaoning Province. Fig 3. KU movement from Fujian to the Yellow Sea. It is a very interesting “coincident” for KS and KU to reunion in the Yellow Sea area. 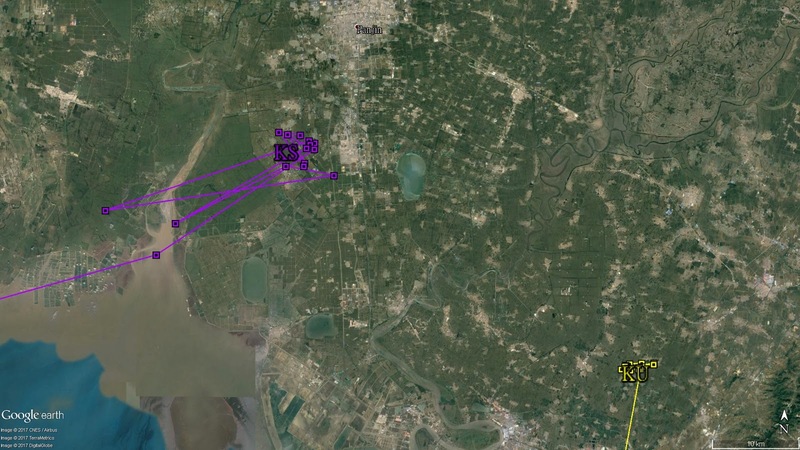 They are now less than 50km apart after 20 days of migration and they are utilising very similar habitat: paddy field. Rice is a popular local product for Panjin area since the 1980s due to its highly fertilised soil and suitable temperature. May is the time when rice farmers transplant rice seedlings to the paddy field, so a wetland habitat with perfect water depth for shorebird is created! 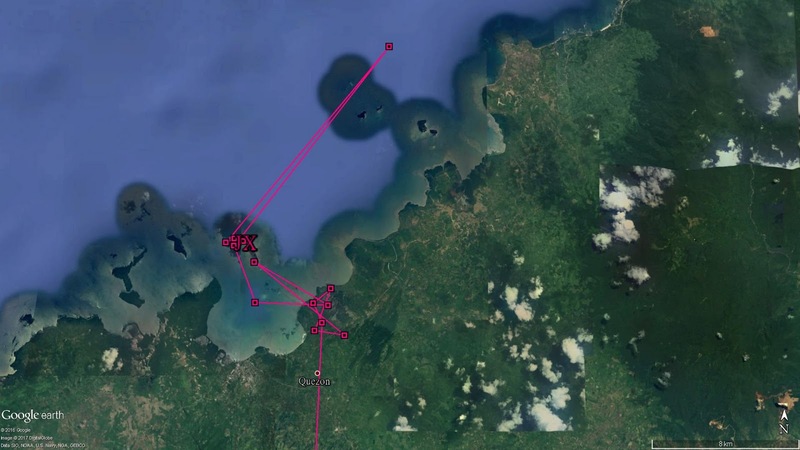 Both KS and KU have been staying in Panjin for over a week, they might probably stay until late May before departing for their breeding grounds. Let’s see which one will reach their breeding ground first! Meanwhile, JX has stayed in Malanut Bay, Palawan, the Philippines for 20 days now. 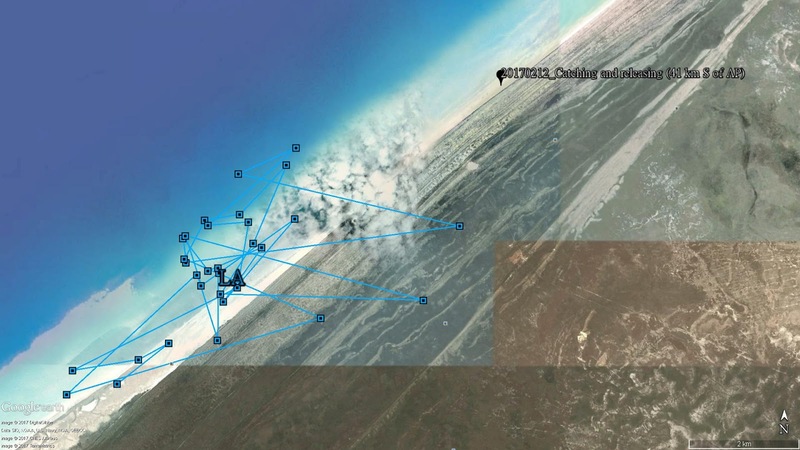 A closer look into the satellite image shows that it is utilising some shallow reef area. 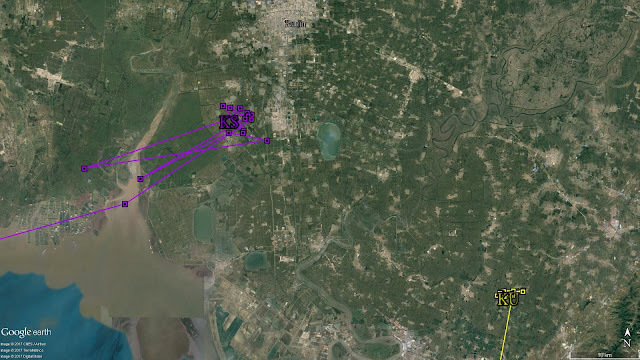 In the evening on 10 May, JX flew north-east for about 10km as if it will start to migrate but then return after 2 hours. It would be very interesting to see if JX would finally migrate to breeding ground in a month's time. Life for LA seems to be much more relaxing at Eighty Mile Beach. In May, its movement is highly confined to a 5km x 2km area along the beach and it occasionally flew over the sand dunes to the inland marshes. We do hope the satellite transmitter could stay on LA for another year and finally track its migration in the next season. Fig 6. LA movement in May at 80 Mile Beach.